So in the process of reminiscing, I decided to check out what Flickr says are my most popular photos. When I used to be a very heavy Flickr user and more active photographer, I kinda obsessed over this stuff. Not so much now. Still, fun to look back. Hope you’ll agree. I was doing something rare for me: a trip in the middle of winter. It was December 17, 2005, and I had to drive to Portland for the U2 concert two days later, and for @U2’s 10th birthday party. 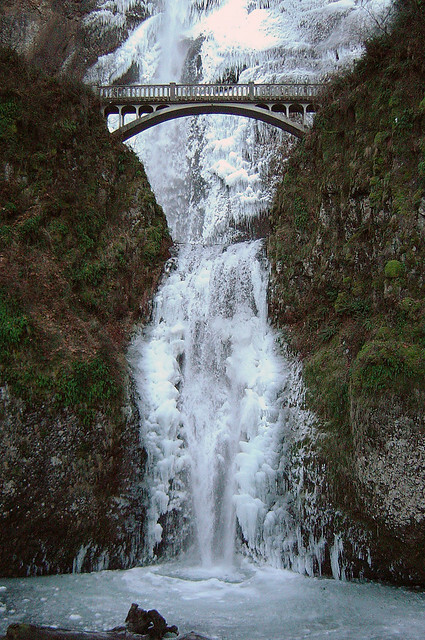 On the way, I paid my first visit to Multnomah Falls, and found it almost completely frozen — an amazing sight captured in this photo. 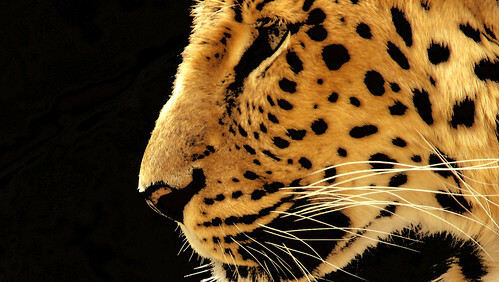 Another photo from Portland — this is an Amur Leopard at the Oregon Zoo in Portland. It was laying only a few inches on the other side of the viewing window, which was pretty clean. So I put my camera right up against it and took this picture. Don’t know what it was staring at, but the cat never paid me any attention at all. I’m no photo expert, but here’s a little trick I know: Rather than shoot photos down at a pretty flower, get beneath it and shoot up. You’re almost always guaranteed a great photo, in part because it’s not something we always see. 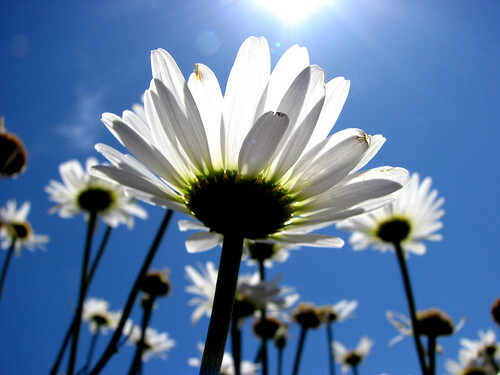 This daisy photo is from the flower bed of our next door neighbor. They weren’t home at the time (shhhhh! ), so I kinda tiptoed in there, stuck the camera below the flowers and took about 20 photos. This was the best of the bunch. And like two of the others, this was also taken in Portland! This was at the April 15, 2001 U2 concert at the Rose Garden. 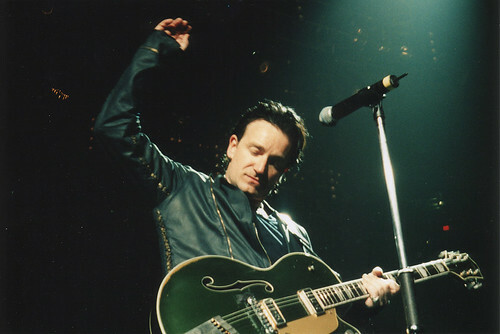 It was near the end of the show at the end of “One,” which Bono had dedicated to Joey Ramone (who died that day). I have this photo framed and on the wall in my office. It’s a scan of a print photo — digital cameras weren’t all the rage yet by that time, or at least I certainly didn’t have one. But I did have a spot right along the front row (thanks to sitting out in the general admission line for about 10 hours) and was lucky to capture an emotional moment forever. Random Thoughts: Car Dealers or Car Stores? I’m not a big fan of U2 but, the image of Bono is definitely full of emotion. It’s funny how photos play a part in our lives and how we look at them with nostalgia. Your post has sort of inspired me to take more pictures in an attempt to contain those feelings from the moment.